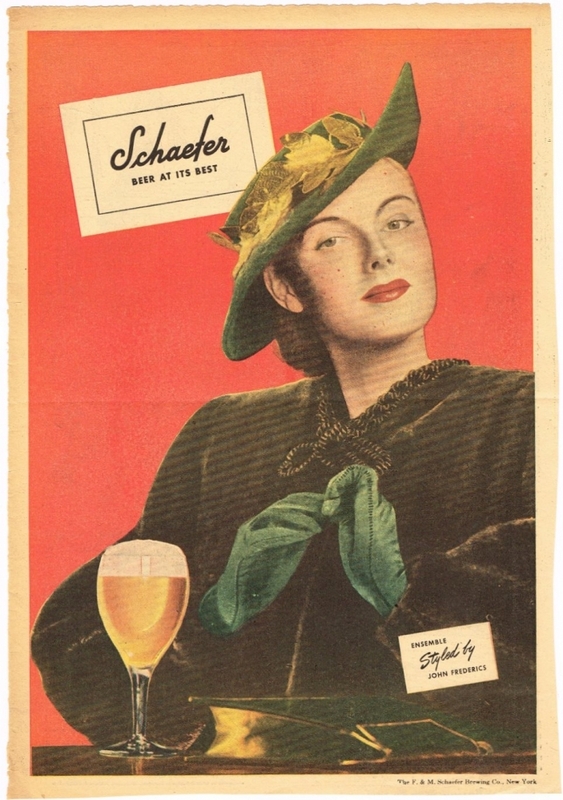 Monday’s ad is for Schaefer Beer, “first produced in New York City during 1842 by the F. & M. Schaefer Brewing Company.” This ad, from 1945, features a woman dressed to the nines relaxing with a beer. Apparently her “ensemble” was “stylized by John Frederick,” whoever that is. Today is the birthday of Joseph Haefner (September 3, 1848-January 10, 1916). He was born in near Bamberg, Germany. 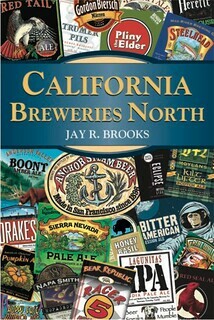 When he was 24, in 1872, he came to America, working in several breweries for fourteen years, before buying out Lawrence Knapp’s Empire Steam Brewery in 1886. 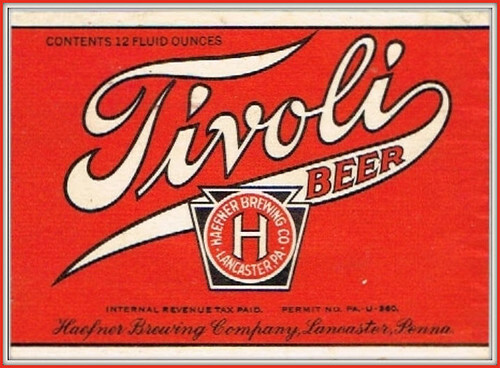 He renamed it the Joseph Haefner Brewery, although it was also known as the Empire Brewery, and it’s best-known brand was Tivoli Beer. 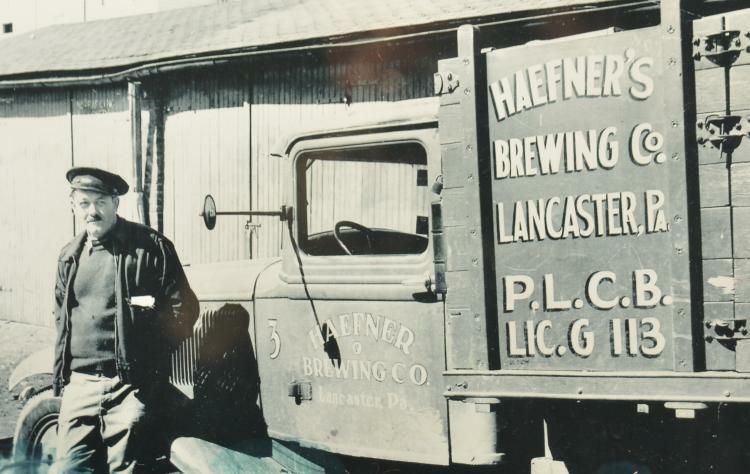 It reopened after prohibition as Haefner Brewing Co. and remained in business until 1946, when it became the Lancaster Brewing Co. for another three years, closing for good in 1949. 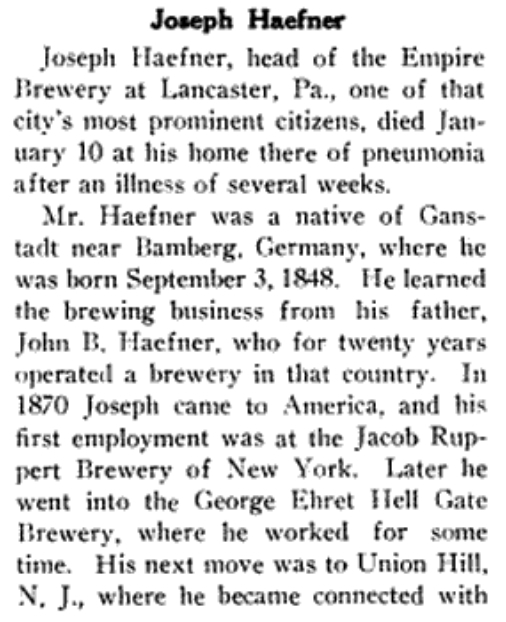 JOSEPH HAEFNER, proprietor of the Empire Brewery, one of the largest enterprises of the kind in Lancaster, is a native of Germany, born in Ganstadt bei Bamberg, Sept. 3, 1848, son of John B. and Barbara (Stall) Haefner. 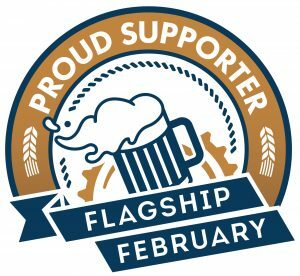 John B. Haefner, father of Joseph Haefner, was also a native of Germany, and for twenty years conducted a brewery in his native country, doing a large business and performing the duties of a prominent citizen. His death took place in 1899, when he was aged seventy-eight years. His wife died in 1893, at the age of seventy-two years. Both were worthy members of the Catholic Church. Mr. and Mrs. Haefner had the following children: John B. (deceased) also followed the brewing business; Peter resides in Germany and follows the butcher business; Joseph is mentioned below; Lizzie married Gottleib Smith, a farmer in Montgomery county, Pa.; Anna married William Kurtz, who conducts a hotel in Lancaster; Lena married Lawrence Rateline, a farmer in Germany. 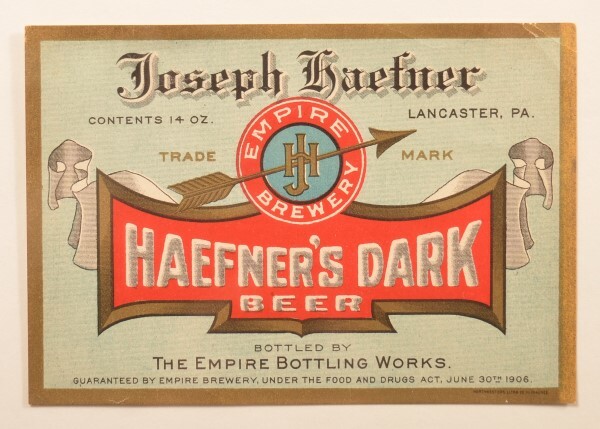 Joseph Haefner learned his trade in Germany with his father, with whom he remained until he was sixteen years of age, then securing work in other breweries, where he continued until coming to America, in 1872. For two years he was employed in Rupert’s brewery, in New York, going then to Union Hill, N. J., where he remained one year. Coming to Lancaster, he served one year in Henry Frank’s brewery, and then went to Reading, where his knowledge of the business secured him a good position with Fred. Lauer, with whom he remained six years. 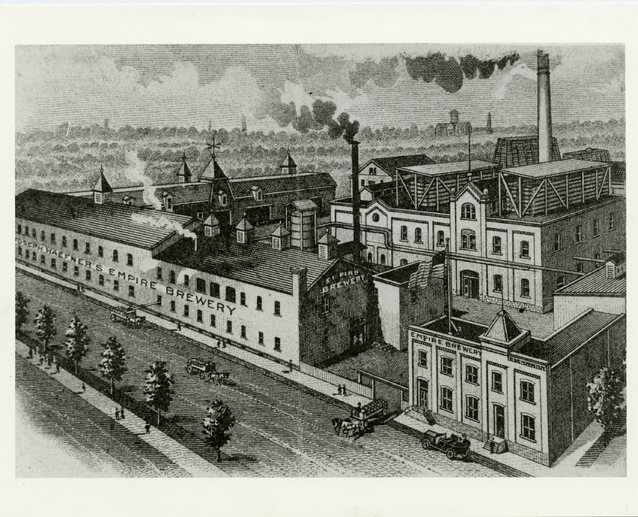 Mr. Haefner then went to Pottsville, and in partnership with Peter Lauer and Lawrence Smith operated the Archard brewery for two years, and then for about five years was in Philadelphia. In 1886 Mr. Haefner returned to Lancaster and bought of Florence Knapp his present plant, which he has enlarged to thrice its original dimensions, and has more than trebled its producing capacity. This immense plant covers at present a half acre of ground and gives employment to twenty men. 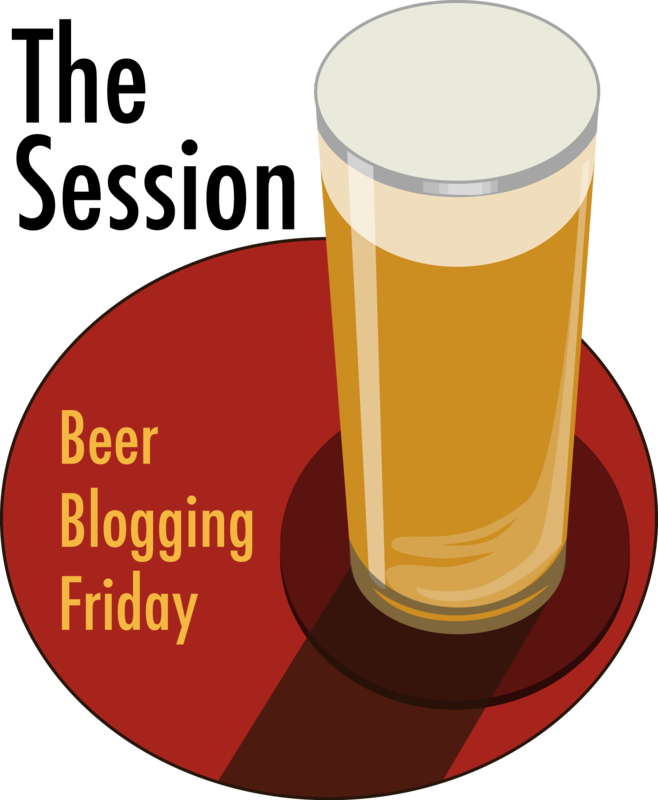 It is fitted with all modern improvements and is the only brewery in the locality which manufactures its own ice. This business was established in 1868 by Lawrence Knapp, and since Mr. Haefner became its proprietor has grown in importance until it ranks with the leading industries of the city. Mr. Haefner is independent in politics. He takes a deep interest in everything looking to the advancement of the community, and votes for those whom he deems will best carry out his ideas. 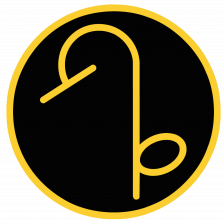 Fraternally he belongs to the B. P. 0. 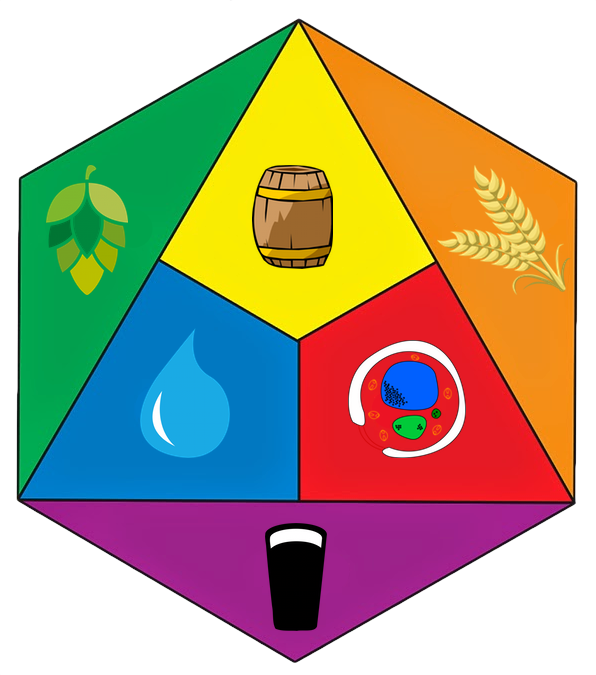 E. and the Brewers’ Association. In person Mr. Haefner exemplifies the best class of prosperous German- American citizens. Genial, pleasant, liberal in his benefactions and charitable to the poor, he has many in Lancaster who delight to call him friend. He has won his way to success through his own efforts, and well deserves the good fortune which has attended him. In 1874, in Lancaster, Mr. Haefner was united in marriage to Margaret Fisher, daughter of Raphael Fisher, who operated a hotel in Lancaster for a number of years. He died in 1893, at the age of seventy-four years, and his wife died in 1884. They were members of the Catholic Church, and were interred in the Catholic cemetery. The following named children were born to Mr. and Mrs. Haefner: Mary, who died at the age of four years; Miss Elizabeth, at home; and Anna, Joseph, Catherine, Lauer and Margaret. Mr. Haefner built his present fine home, opposite his place of business, in 1890.